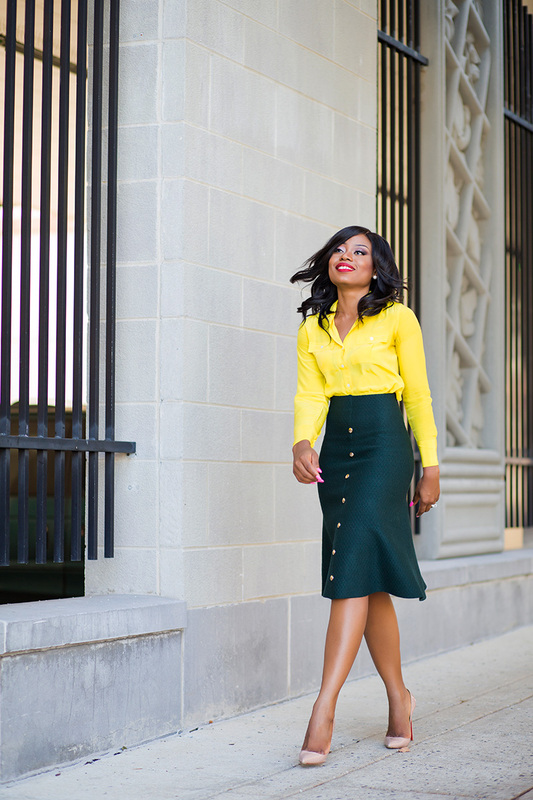 There is no better way to step into work this fall than in a fit and flare feminine chic skirt. 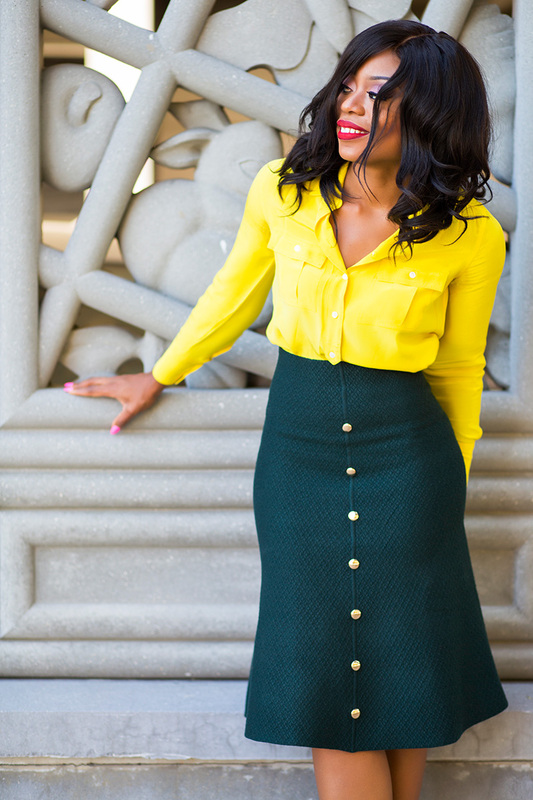 This studded midi skirt from Chicwish is classy and attracts attention. 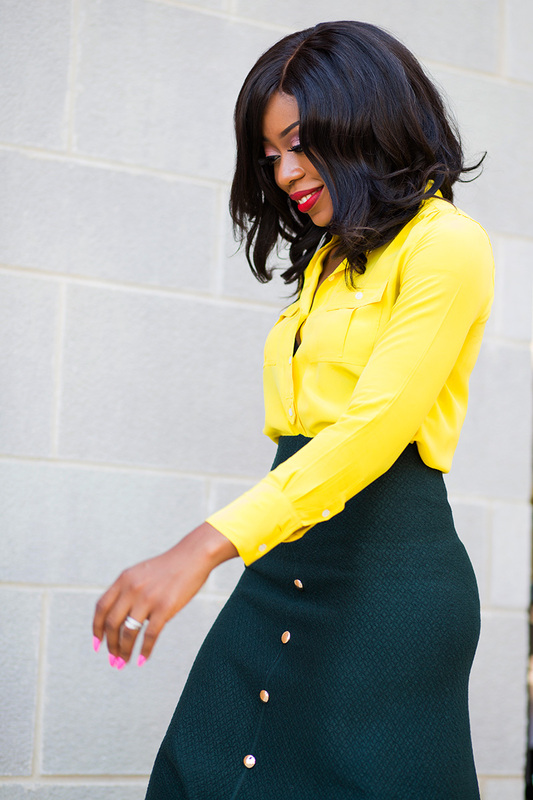 I am always in search of fun and classy work styles and this skirt fits perfectly. 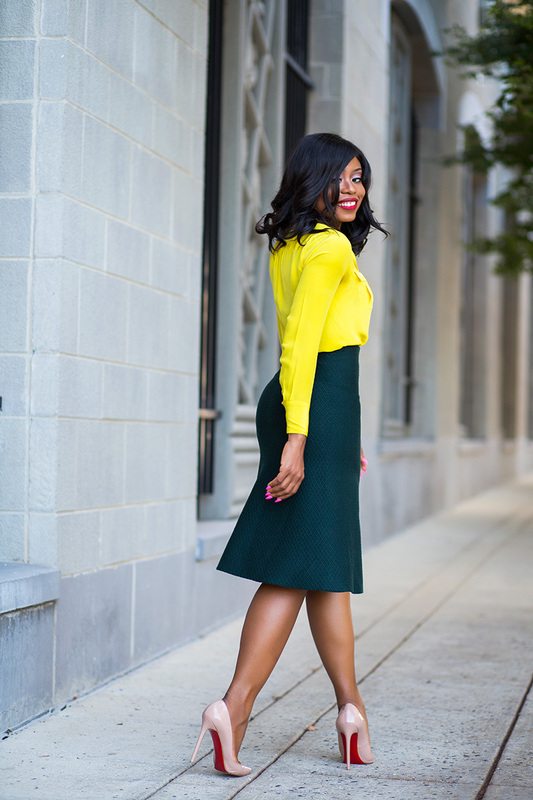 The color, the gold studs and the flare silhouette captivates me; I definitely need it in black and wine colors. 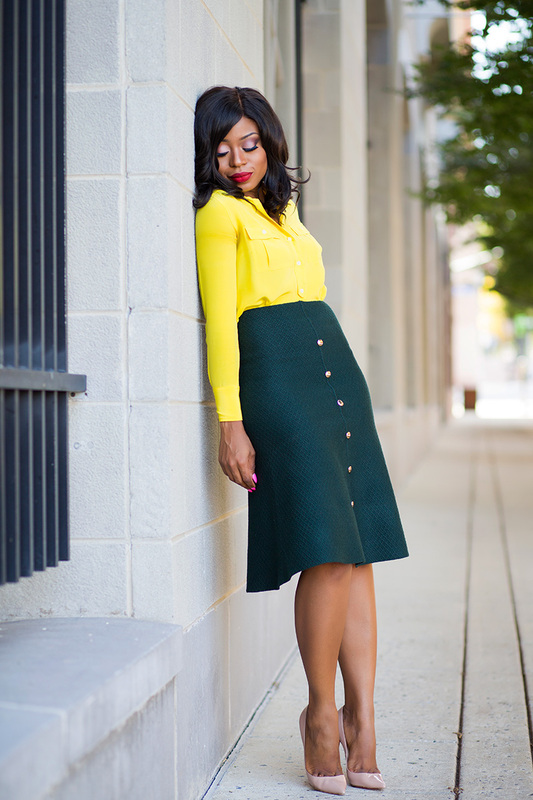 For this post, I paired the skirt with a canary yellow blouse to complement the gold studs and completed the look with beige pumps for a neutral blend. 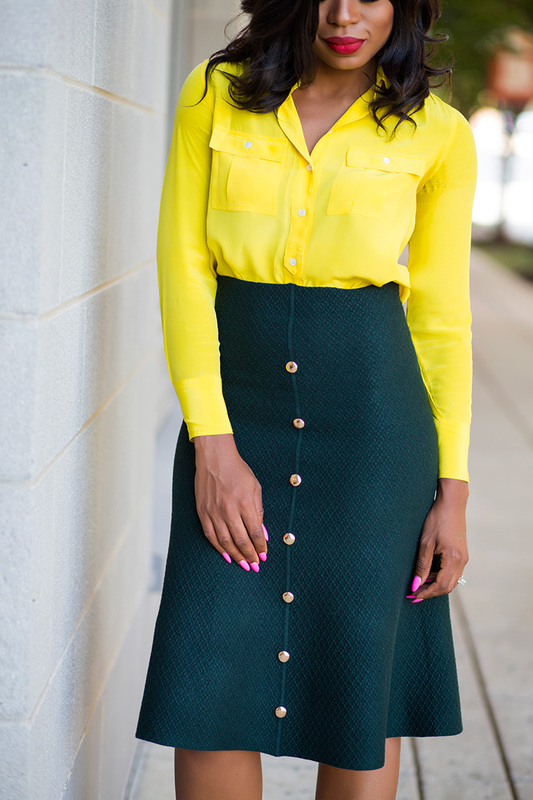 If you don’t want a bright top, this white blouse or blush tones will look very great. This post is brought to you by Chicwish. All opinions are mine. Absolutely stunning! In love with this color combo! Great style buddy! Thanks for sharing. The colour combination is so appealing to the eyes. Beautiful! 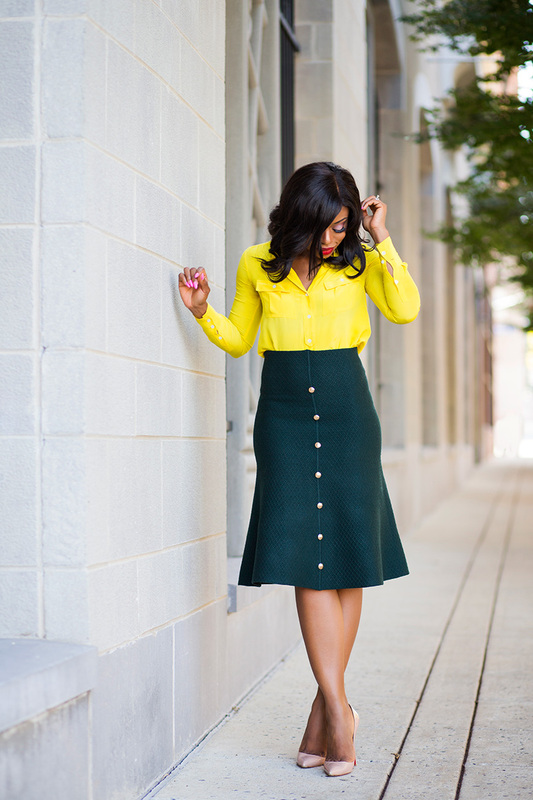 Oh how I love the stud details on the skirt. Excellent colour combinations Uzo.